Curious about something else than traditional bottom up or top down knitting? Want to play around a bit with the garment construction? Vinkel is an easy and fun garment – diagonal garter stitch and basic shaping takes you from the front edge, across the shoulders and down again, finished off with some easy seaming along the back and sides. 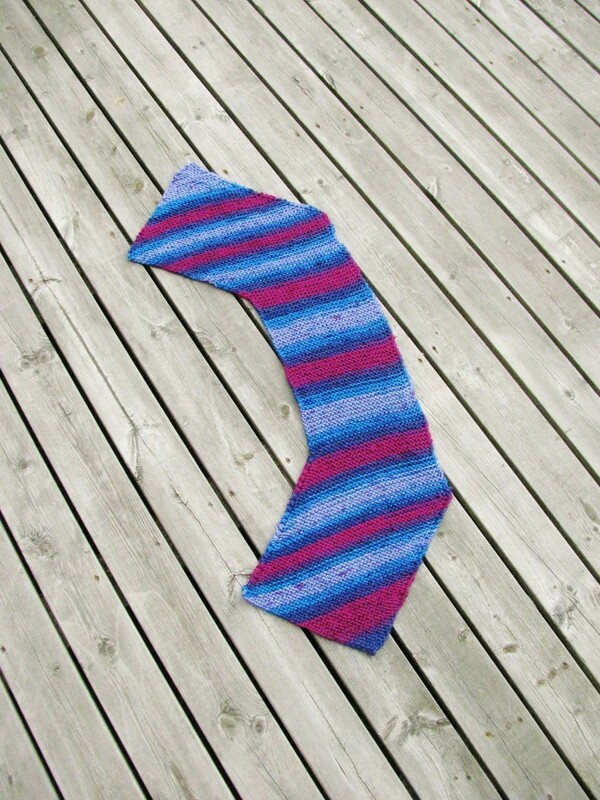 A perfect project for self striping, hand spuns – you name it! Vinkel is available in small sizes here.